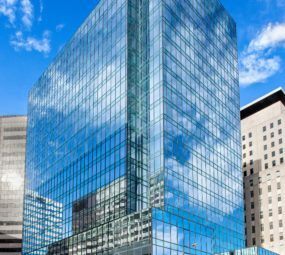 Formally known as the AT&T building, 220 N. Meridian Street stands at 21 stories and has approximately 555,453-square-feet of leasable space. Keystone Realty Group will immediately begin construction on three floors of parking. Keystone Realty Group is currently evaluating its overall options for the site, which will likely include a hybrid residential and commercial component. Plans are underway to redesign the first floor as retail that will include three new downtown restaurants. Built in 1926 and abondoned in 2002, the historic Illinois Building was listed as one of the state’s 10 most endangered landmarks. Keystone Realty Group has proposed to transform the Illinois Building into the Intercontinental Hotel. A leading luxury global brand, the Intercontinental Hotel will incorporate design elements unlike anything currently seen in the Indianapolis market. Recently added plans include first floor retail with Hyde Park Steakhouse and Giordano’s restaurant. The remaining upper floors will house 180 luxury rooms, bars, and two additional restaurants in the planned redevelopment. Additionally, a rooftop bar will be one of the first of its kind in the city, with a never before seen view of Monument Circle. To learn more about Keystone's other commercial and retail projects, visit our portfolio page. Sophia Square encompasses an entire city block in downtown Carmel. This 7-story mixed-use structure includes restaurant/retail usage on the first floor, 214 unit apartment usage on the upper four floors, and a 2-story underground parking garage, blending the historic style of downtown Carmel while utilizing modern amenities. Some of Sophia Square's retail tenants include Main Street Poke, The Pint Room, and Vitality Bowl. 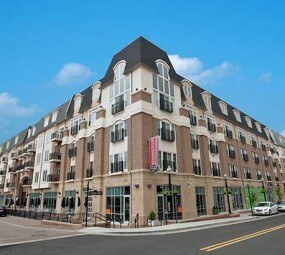 This mixed-use development located at the crossroads of Broad Ripple Avenue, College Avenue, and Westfield Boulevard. 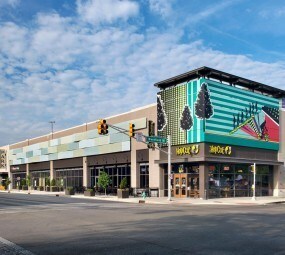 The Garage serves as a gateway into Broad Ripple Village, an Indianapolis Cultural District with hundreds of establishments for shopping and dining. The development includes a parking garage with about 350 parking spaces and 27,271 square feet of retail and restaurant space including an Indianapolis Police Department substation. 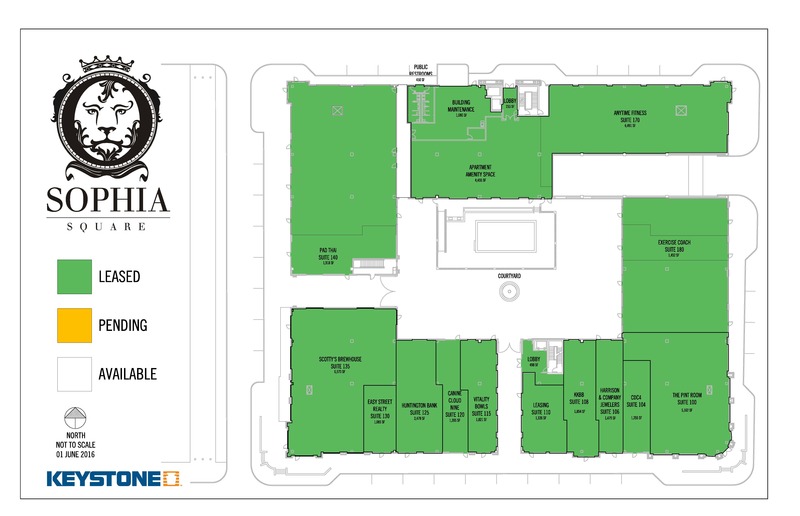 Retail tenants include HopCat, Massage Envy, Marco's, Pure Barre, Enterprise Rent-a-Car, and Athletico. 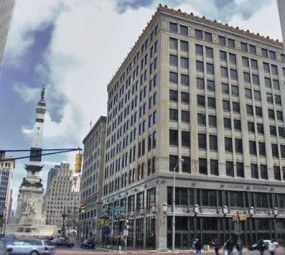 This historic 10-story building is located at the corner of Maryland Street and Pennsylvania Avenue in downtown Indianapolis' Wholesale Cultural District. 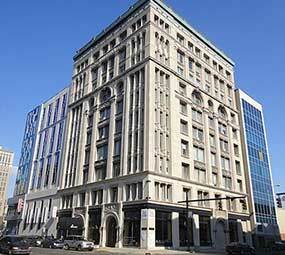 The building includes a premier steak restaurant on the ground floor, a fitness center on the second floor, and eight floors of class A commercial office space. The exterior design for the Majestic uses the strength of the Romanesque Revival style. The large entrance arches are decorated with foliate and acanthus carvings. The three massive arches in the upper stories give the building its monumental character. Located on the northwest corner of Keystone Avenue and 86th Street, the Alexander at the Crossing development is 15.94 acres. 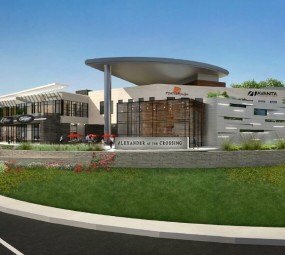 It will include a two-story mixed-use building with about 27,000 square feet of ground floor retail, restaurant tenants, and about 26,000 sf of second floor commercial office space. 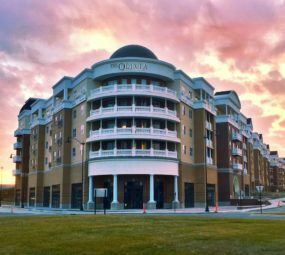 The site is located just west of The Fashion Mall, Indianapolis’ premier luxury shopping destination, and is within a mile of hundreds of retail, restaurants, office, and entertainment amenities.